About meEddie Hedges is a career banker with over 40 years experience in banking. He has served Chief Executive Officer and President of three different community banks in Texas. Eddie is a 1971 graduate of Texas Tech University. Throughout Eddie’s banking career he has been active in Economic Development is each of the communities where he worked. He has also served in his local church in positions of Sunday School Teacher, Church Trustee, Usher, Finance and Stewardship Committee, Pastor Search Committee as well as leading Money Management Seminars in numerous churches and for the Christian Women’s Job Core. 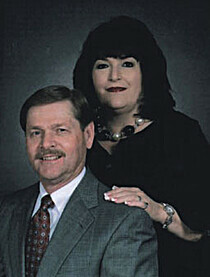 Eddie and his wife, Elaine live in Levelland, Texas. They have four children and eight beautiful grandchildren. Eddie can be reached by email at eddie.hedges@suddenlink.net. About my libraryThe Heart of Financial Matters, Seeking a Spiritual Heart is a book that was developed though my experience in dealing with bank customers and discussing with them financial problems they were experiencing. It was when I was asked to speak over finances at a marriage seminar at my local church that I began to search the scriptures and found Biblical answers to financial problems. The book is written from a banker’s perspective and contains the keys to accumulating and retaining wealth. It covers topics such as teaching your children about money, setting financial goals, dealing with adversity, and having a winner’s attitude. More important is the emphasis on the condition of the heart and your relationship with God. I discuss how you can take it with you and being a good steward or trustee with what God has given you. There is a chapter over prayer and its role in money matters. The chapter also covers Biblical guidance to having your prayers answered. This book shows you how to make money your servant and not your master.